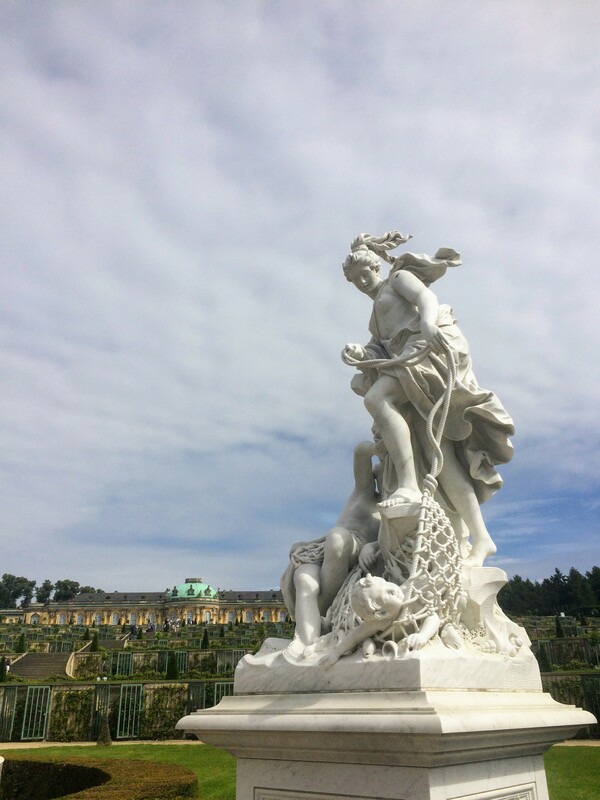 Potsdam, Germany is a fun and easy day trip from Berlin. 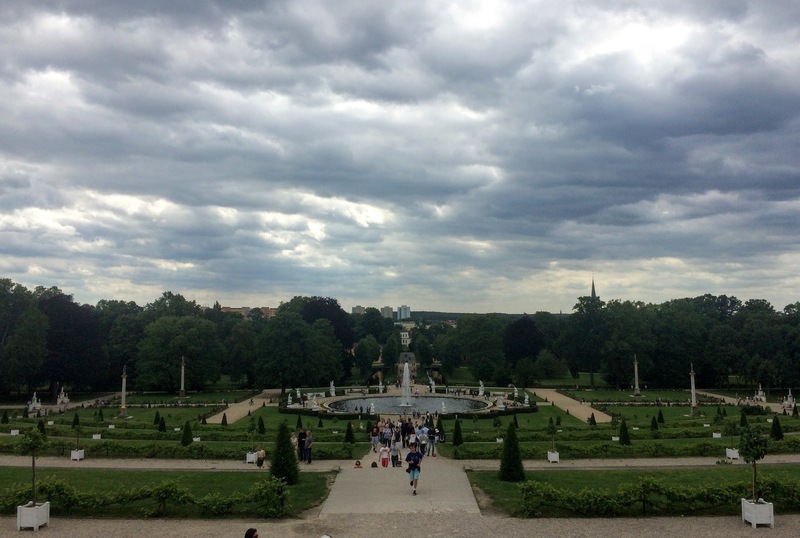 Potsdam is a thirty minute drive from where we were staying in Berlin and boasts a garden that seems like a smaller and much less crowded version of Versailles. (Also it is free to visit!) So we decided to spend a day there. 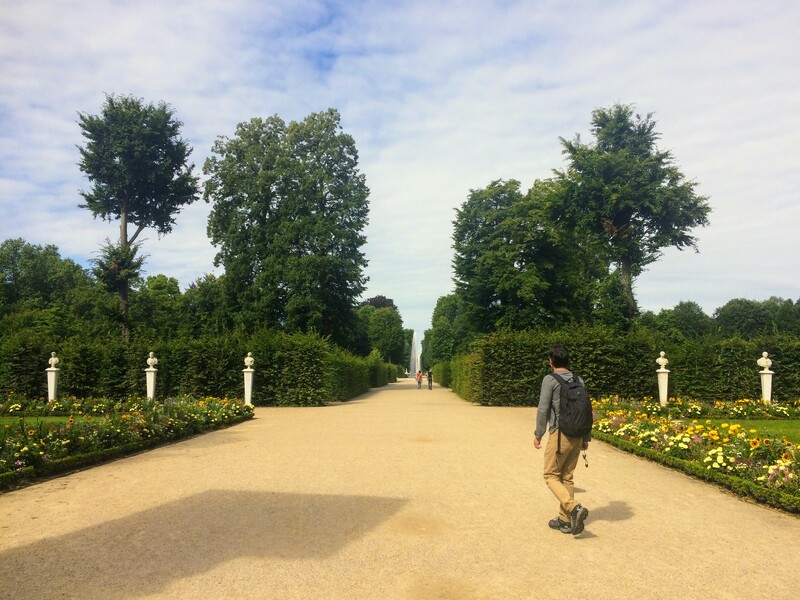 We had gorgeous weather for our trip to Berlin, so we all agreed that a trip to the Sansoucci Gardens and palaces would be a great way to be outside and enjoy the sunshine! Also, after being on city streets for a few days, it was wonderful to run free through the park. There are over 200,000 plants in Sansoucci. 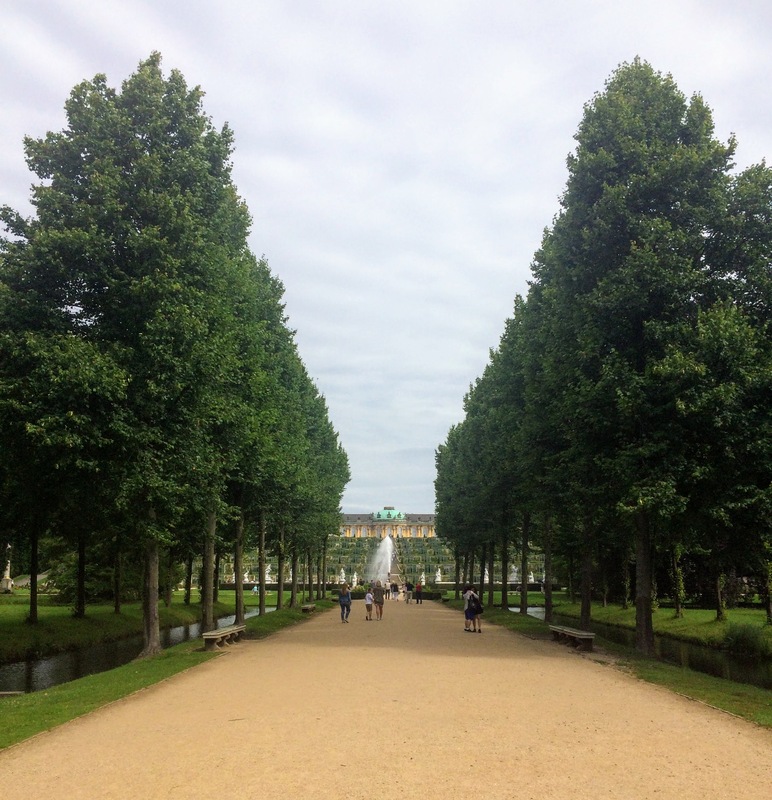 The gardens run over 2 kilometers in both directions and on each side are ornate palaces and buildings. In addition to the palaces, there is a university, an orangery, a vineyard, and Roman baths. There’s even an old windmill. 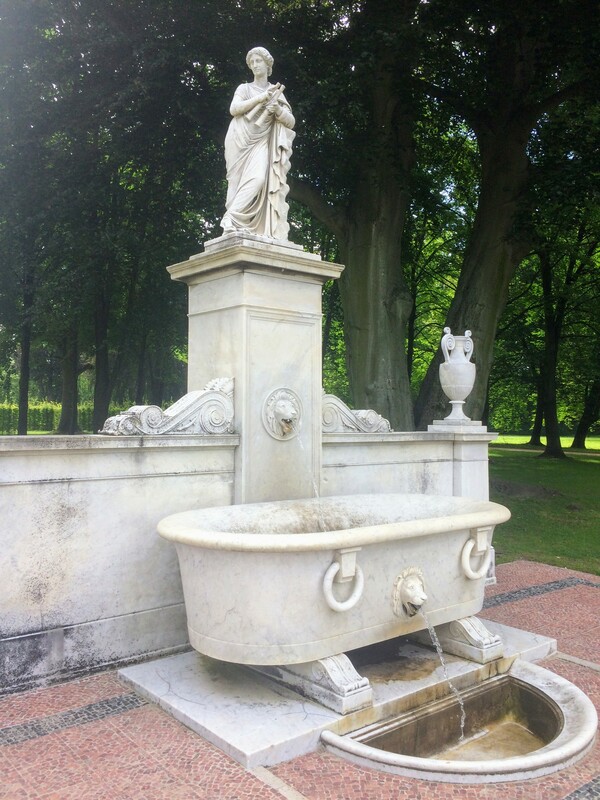 A huge fountain in the center of the gardens is surrounded by Greek statues. Simon took photos of every single one, walking around and letting us know who was who. We were there at a great time (July). 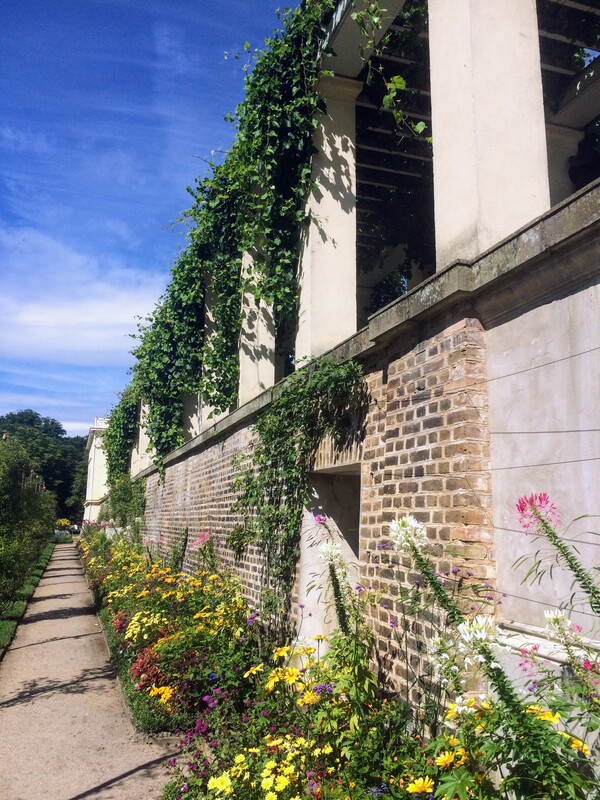 Loads of flowers in bloom. 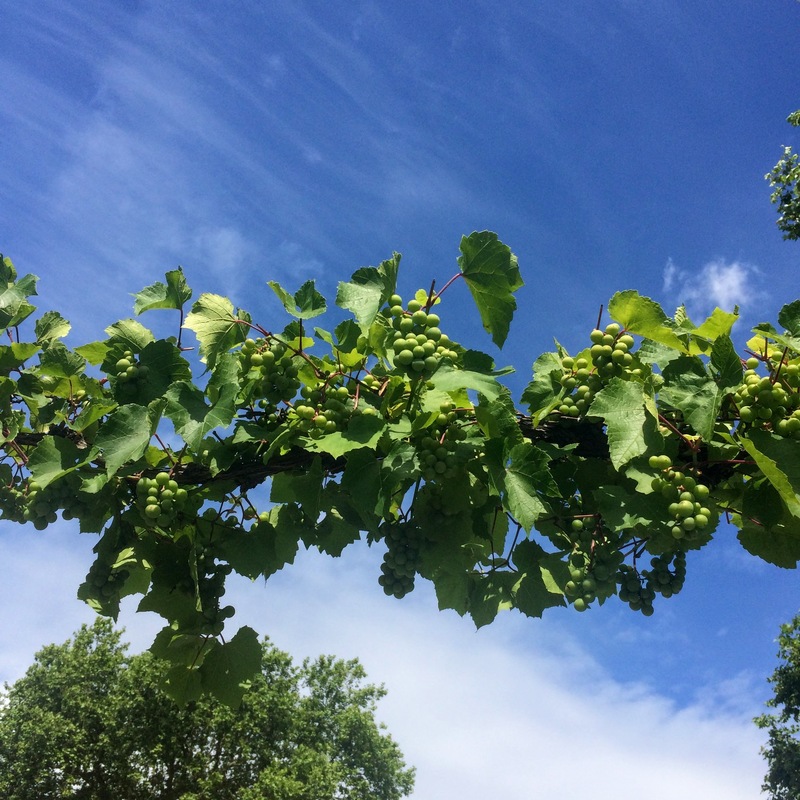 Plus there were grapes on the vines. Besides the walking paths, there were also lots of fields to play or picnic in. This is one of the university buildings. So lovely. While we stood in front of these beautiful old university buildings, I told the boys to add it to their list of possible schools. Because I like to remind them often that university is free in Germany. 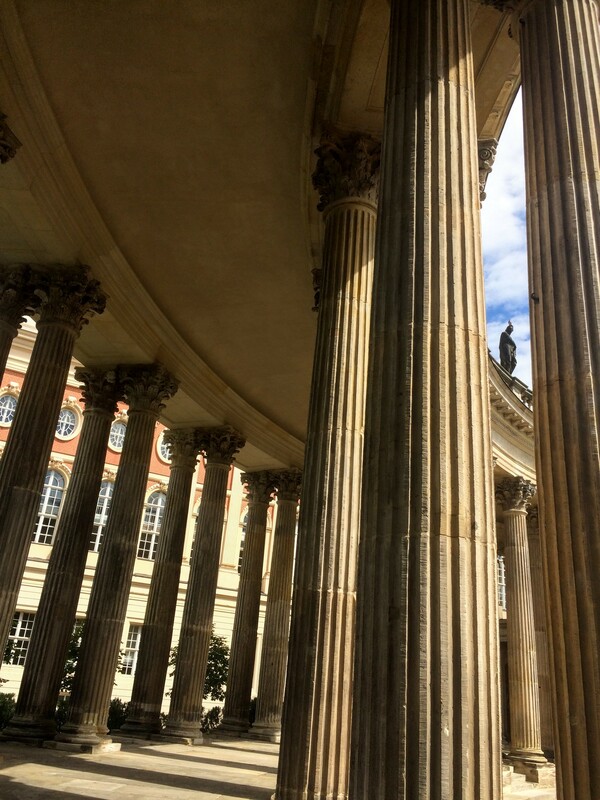 This column connected two university buildings. 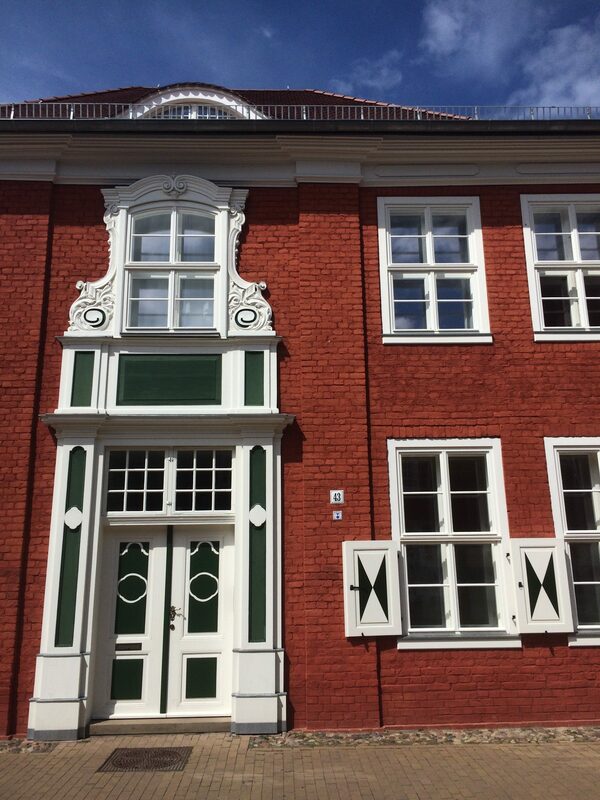 It’s being restored as it was damaged during WWII and since Potsdam was previously part of East Germany, post-war restoration has come a bit more slowly. 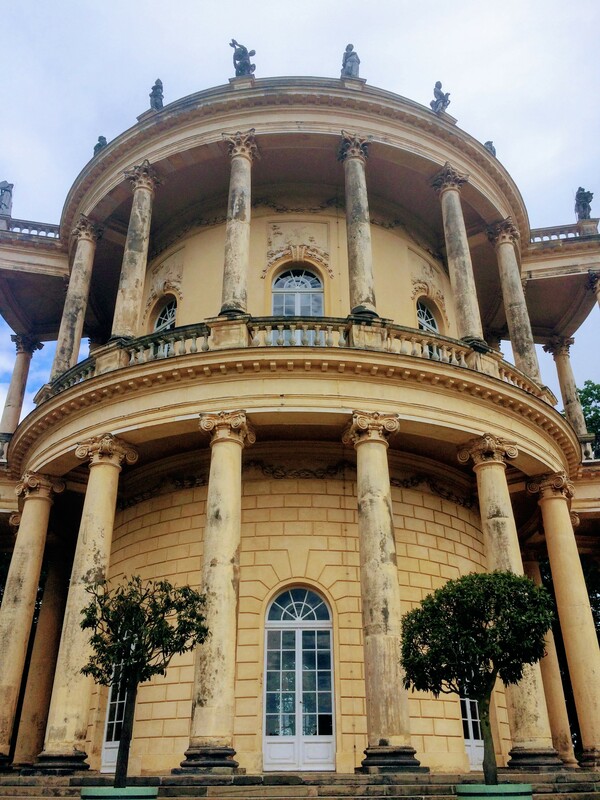 This smaller palace is called the Belvedere. It was up on a hill, and a nearby another old building had been turned into a darling restaurant. 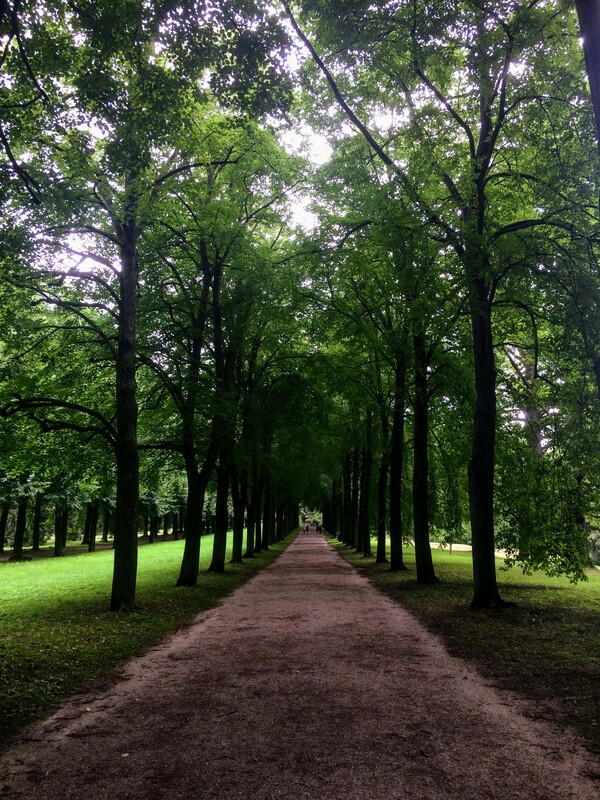 Tree-lined paths make me smile. 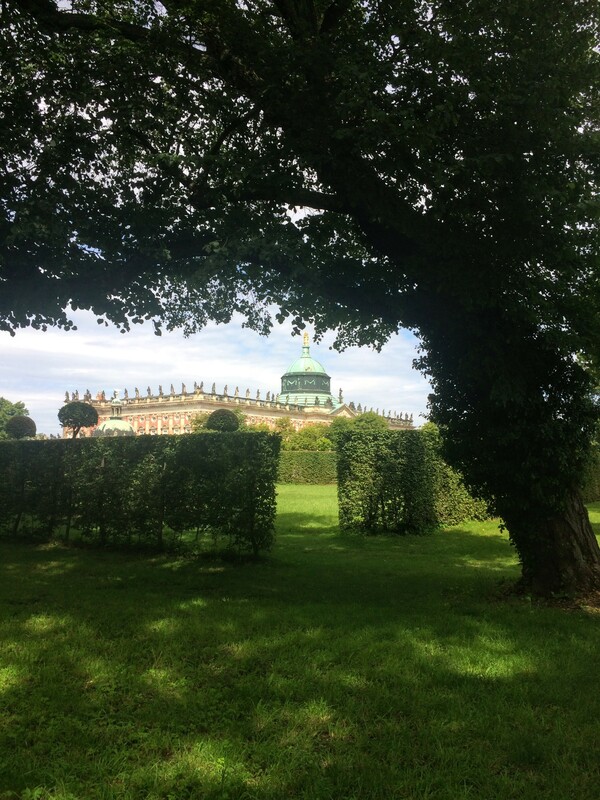 It took us over two hours to tour the gardens, so when we finished we made our way over to the town of Potsdam to find a bite to eat. 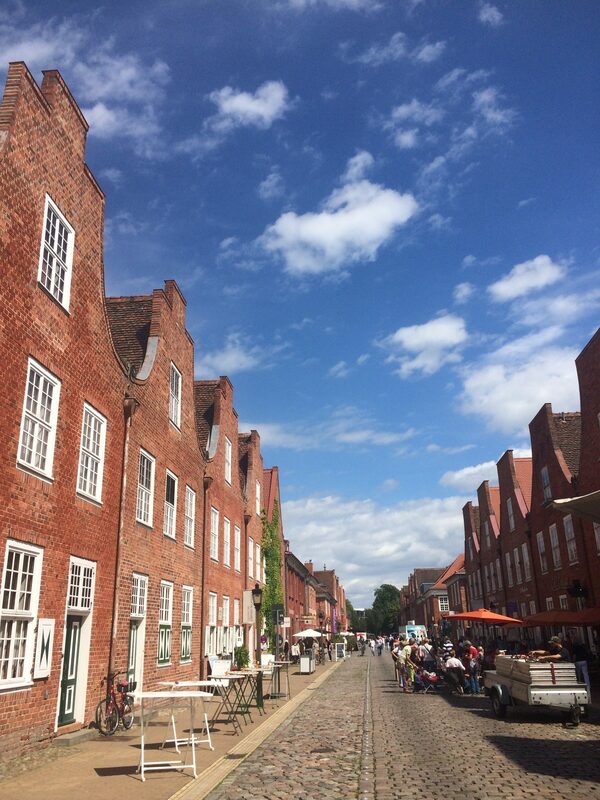 We went to the Dutch Quarter of Potsdam for lunch. 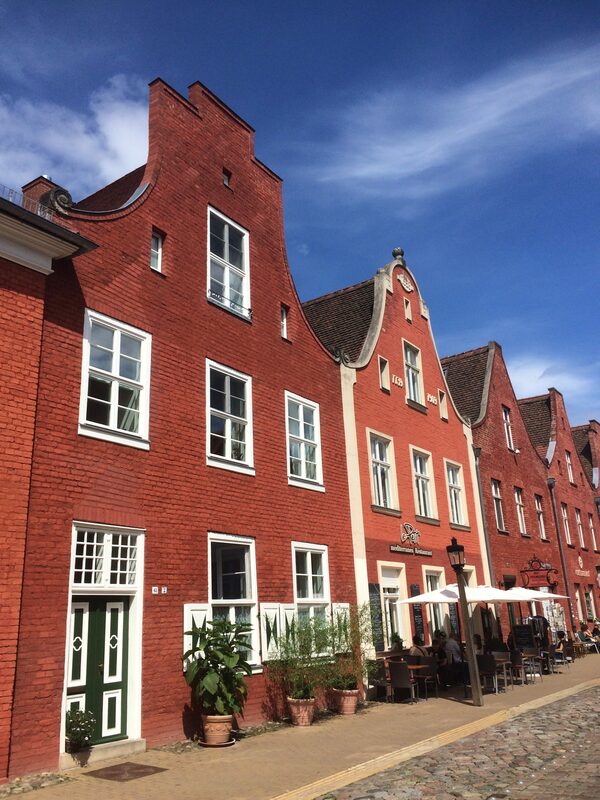 There are 169 red brick buildings that make you think you’re in Amsterdam for the afternoon. The vibe is super fun. Outdoor tables and markets everywhere. We found a perfect spot where we ordered up drinks and little flatbread pizzas. 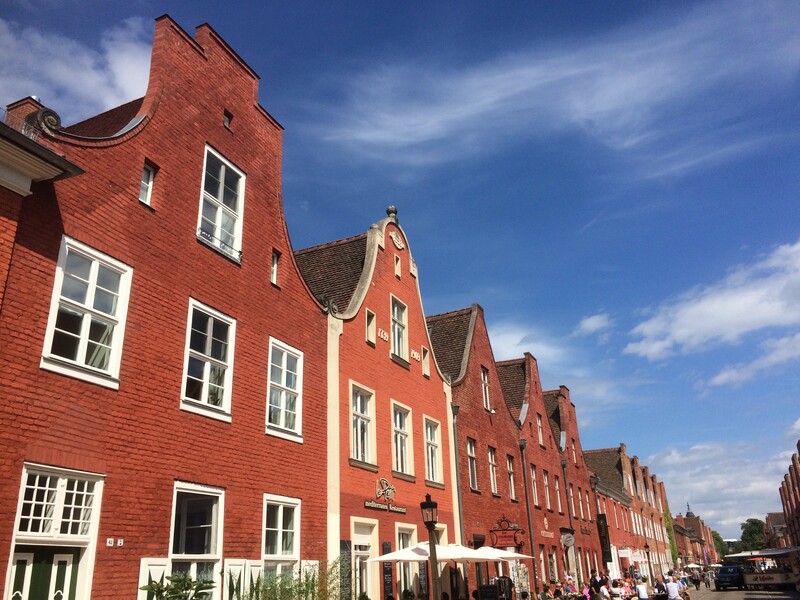 Then we walked a bit more around the Dutch Quarter before heading back to Berlin. 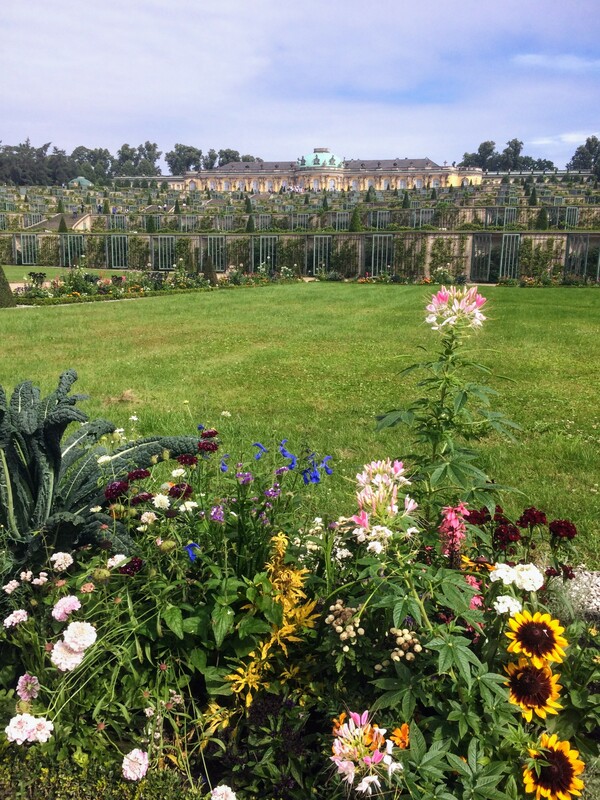 We all agreed that Potsdam was well worth our time and to us it felt like sort of a hidden jewel of Germany. 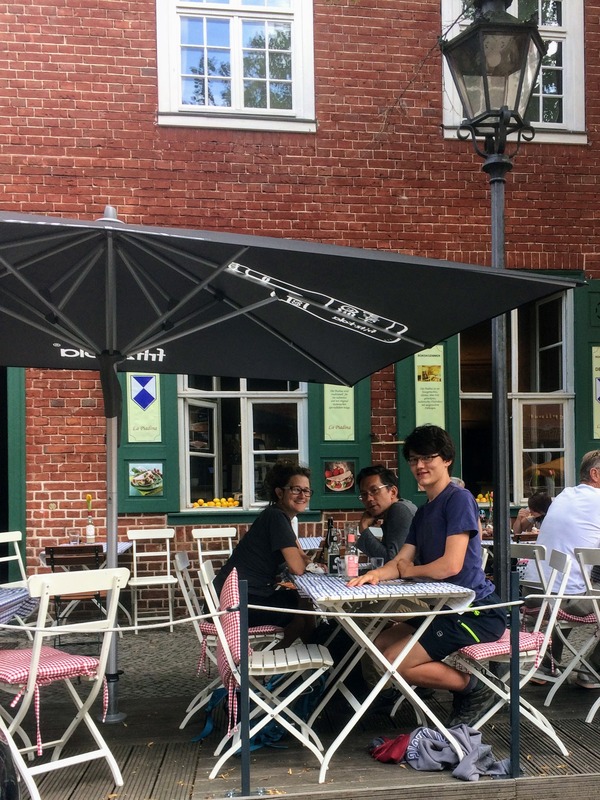 It was fun to find a German town that also had a little bit of the Netherlands, France and Italy in it. 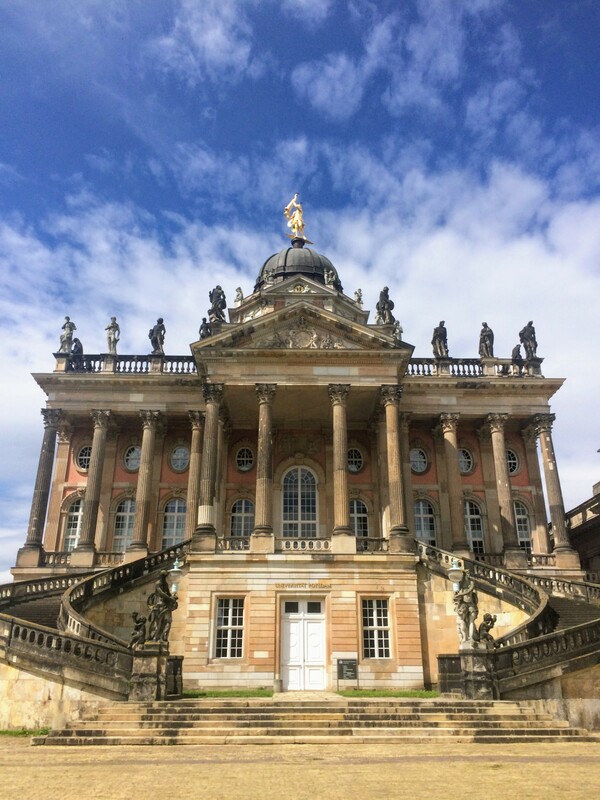 We drove to Potsdam, but you can also take a direct train from Berlin. Charlotten Hof is the stop for the gardens and it’s a ten minute walk to the palace.